Are you ready for some inspiration? 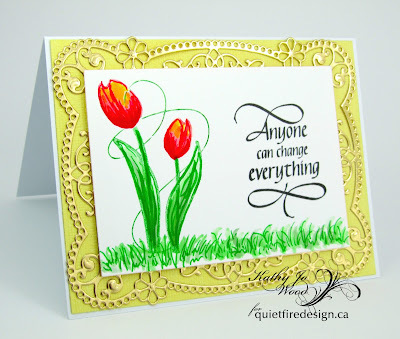 Yes, the Quietfire Design Team has been loving Suzanne Cannon's newest stamp release. We have all enjoyed sharing projects using the new release. 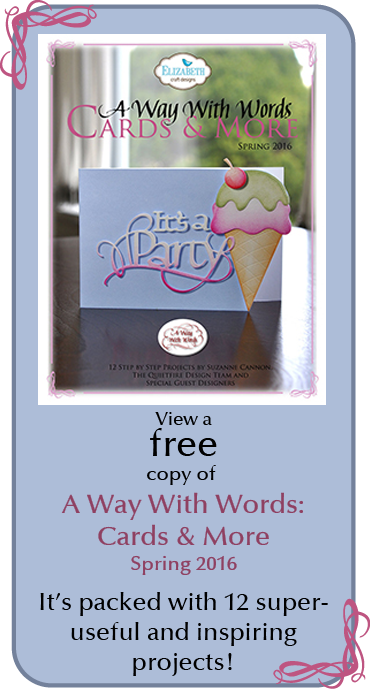 The stamps are gorgeous and full of inspirational quotes and images for your next crafty project. 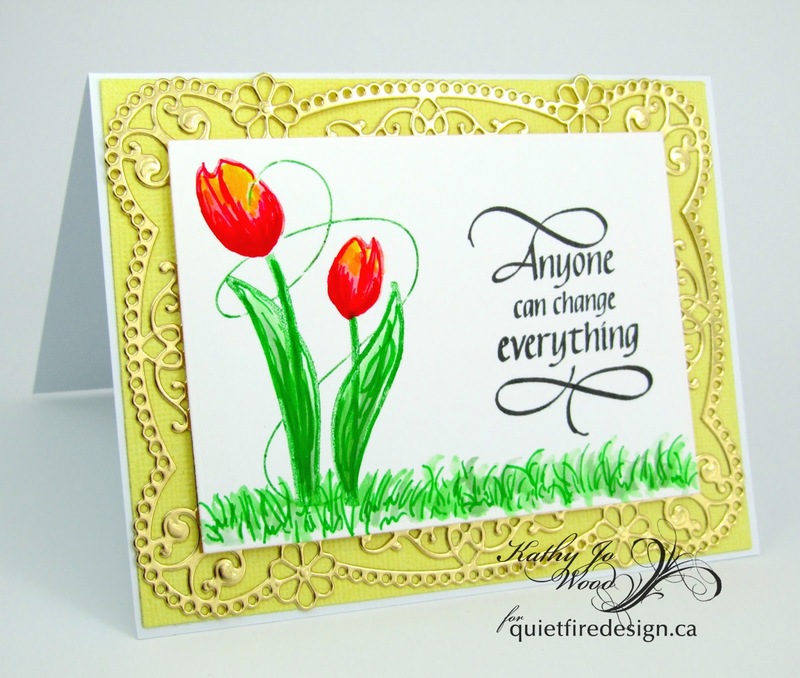 Today I would like to share a project using Quietfire Design's Anyone can change everything and Tulips stamp sets. Apply Tombow markers to Tulips stamp. "Huff" onto the stamp to moisten the ink. Stamp onto marker paper. Color in tulips and leaves as desired. Stamp quote onto paper using black archival ink. Die cut using rectangle die. 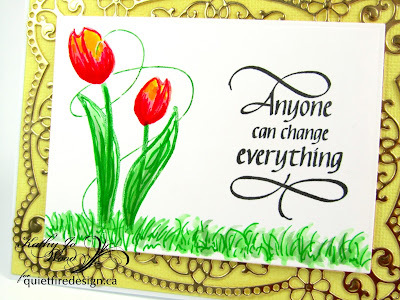 Add grass using Tombow markers. Die cut gold card stock using Spellbinders Tallulah Frill die. Create tent fold card from white card stock. Cut coordinating yellow card stock to size and mount. Mount gold die cut. 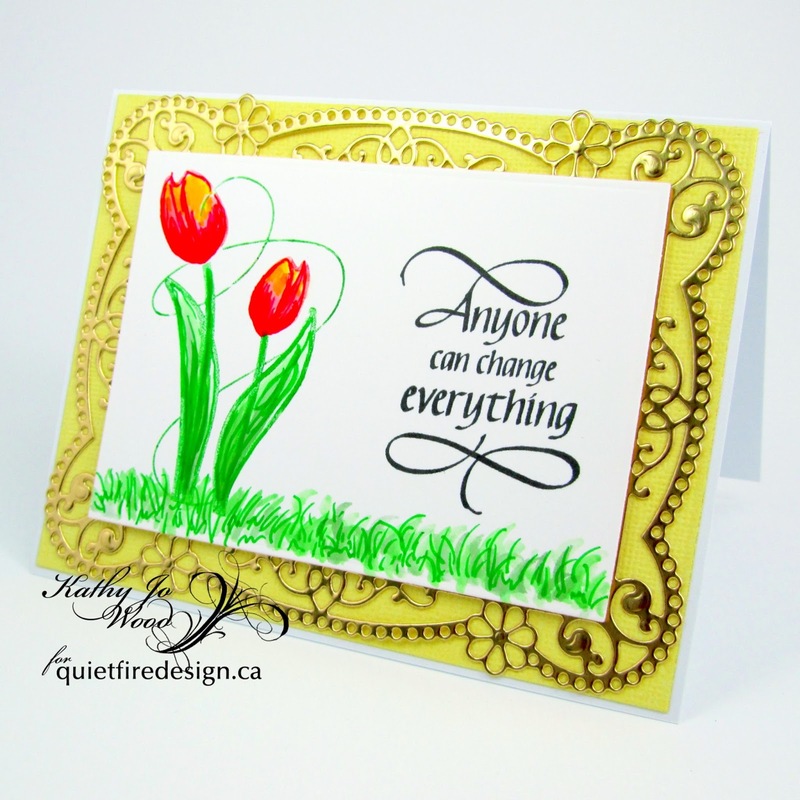 Mount tulips and quote using double sided adhesive tape. Seeing tulips makes me smile. Such a pretty stamp! cheerful and elegant- thanks for huffing! 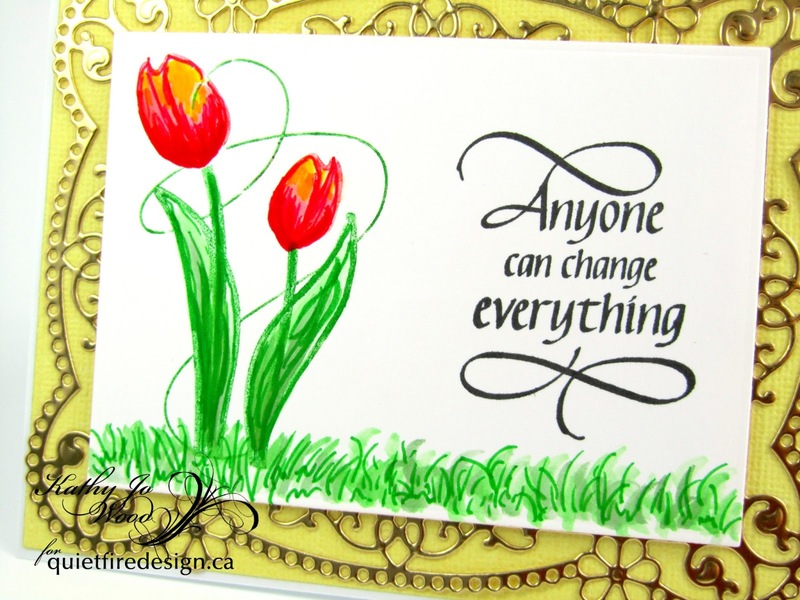 I like the sentiment and the tulips really pop. The frill die is so elegant. A beautiful make Kathy Jo.